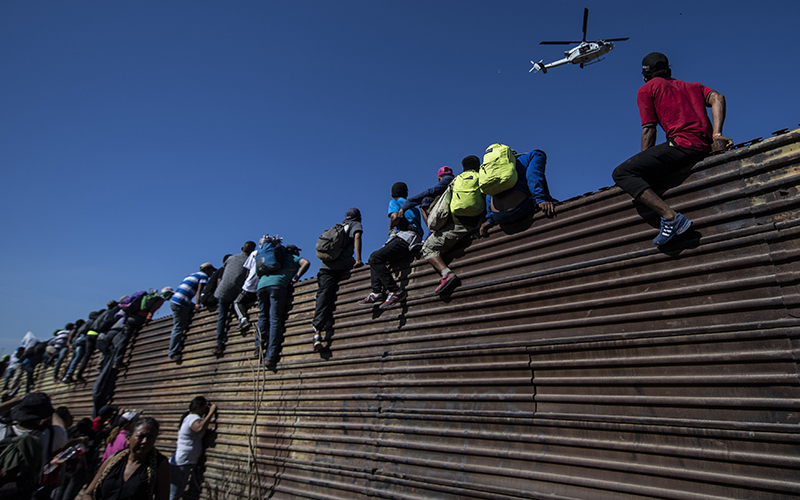 PHOENIX – Effective immediately, asylum seekers who enter the United States illegally through the southern border now will have to wait in Mexico while their cases make their way through an extremely backlogged immigration court system. The action, known as the Migrant Protection Protocols, will issue migrants a “Notice to Appear,” for their case proceedings. In its announcement, the Department of Homeland Security highlighted that Mexico will provide them with all appropriate humanitarian protections for the duration of their stay. Phoenix immigration attorney Judy Flanagan, who handles asylum cases, said the new policy is illegal. “To say that they have to wait outside for a decision, that is just an absolute violation of federal law,” Flanagan said. The current immigration-court backlog is nearing 800,000 cases, according to a letter Trump sent to Congress earlier this month. However, only 395 judges are assigned to review all of those cases, according to the Executive Office for Immigration Review. Pastor Angel Campos of the Monte Vista Baptist Church in Phoenix expressed his sorrow for those people who are being sent to Mexico. Mesa pastor Magdalena Schwartz is a vocal advocate for providing support to asylum seekers who has been helping migrants for months. She expected to receive a bus of asylum seekers on Friday. Campos is still receiving buses filled with asylum seekers multiple times a week. Flanagan called into question the limited amount of resources Mexico has to support these migrants. At the Kino Border Initiative, a faith based nonprofit organization that focuses on helping migrants, director of education and advocacy Joanna Williams explained the organization’s concern from three perspectives: humanitarian, safety, and due process. Williams said there does not seem to be a concrete plan in place explaining who will offer support to these immigrants and how. She also mentioned what she said is the well-documented evidence of the dangers Mexico can represent to Central Americans and brings into question the requirements of reasonable fear standards. “It could mean that people who have suffered abuse in Mexico have to return – and that can be fatal,” she said. While migrants await their case proceedings in Mexico, it’s unclear how they will be notified of court appearances or changes to their case without a permanent residence. U.S. legal counsel is not available in Mexico and the government does not pay for immigration attorneys, Williams said. Al Otro Lado, a Los Angeles organization that provides legal services to deportees, migrants and refugees, also tweeted reaction to the policy change, signaling the danger asylum seekers at the southern border now will be facing.